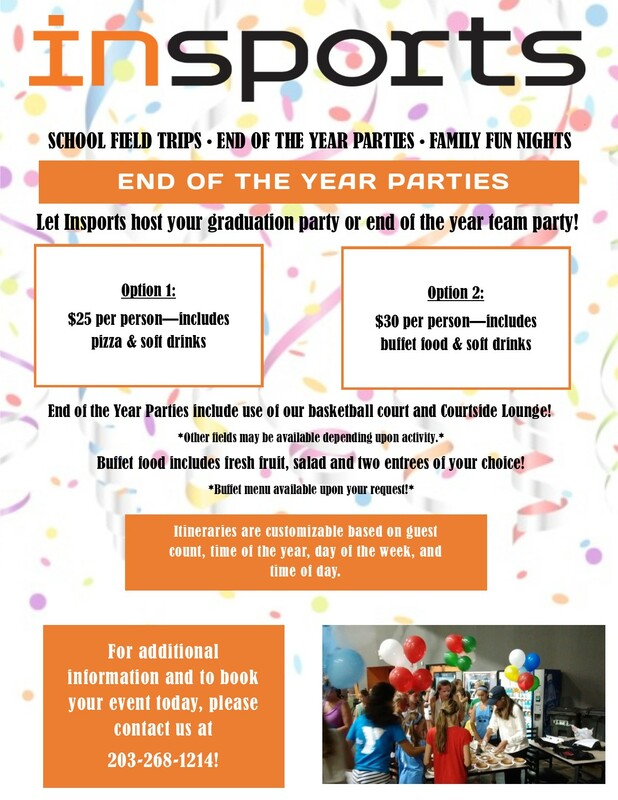 Let Insports host your graduation party or end of the season party for your team! End of the Year Parties include use of our basketball court and Courtside Lounge! Other fields may be available depending upon activity. Itineraries are customizable based on guest count, time of the year, day of the week, and time of day!